Only this January - so it's likely that the official set was already under production. Typically, rumors for the following year (2020) usually start popping-up around August. Exactly! Well... when it happens, I keep those for exchanges, but I never find anyone to trade with! Yeaaah, neither can I. Well. now you know Lego didn't reject your project due to appropriate content issues as they purported. Speaking of LEGO Ideas though, I see your info confirms the Treehouse for August at $279.99!!! Erm... whoa. I’d like to think this is real, and goodness knows they’ve surprised me before with The Big Bang Theory, The Simpsons, Gremlins, etc., but Stranger Things?! That’s beyond “surprising” and into “shocking”. I can’t believe they’d do that one. And yet, here we are talking about it, with links to outside sources saying it’s happening and even offering set info. Is this for real? When did you submit yours? Would love to see the B-model being the old Defender, but I doubt it. Diff locks would be fantastic but I don't think it's ever been done on an official set, same for selectable 2WD / 4WD / Hi / Lo. Opportunities are endless here, but realistically I'll likely be your typical fake engine, suspension and 4 wheel drivetrain. Unless they go all Claas Xerion on this set and surprise us with some really creative mechanisms. No need for RC when there is so much opportunity to show off intrinsic workings of real world mechanics. Hello. I'm York from Taiwan who is currently living in Thailand (confusing?). I was originally a fantasy/castle/medieval fan, then I became a space fan when I started to accumulate a lot of old space minifigures and parts from second hand LEGO lots. I mainly create MOCs rather than collecting set. Somebody have any suggestion on which legs to use with the Resistance officers with the dark tan torso? Aww... Thanks! 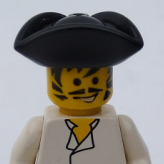 When it was rejected LEGO said it was due to the nature of the license, and that because of this they could not except the submission- which is fair enough, I honestly would have been shocked if it had gotten through. But it’s definitely possible they’ve been working on the official set at the time and wanted to avoid any controversies. Yeah. Porg with a Santa hat It keeps getting lazier. I’m kinda wishing they included a Dec 25th minifig and made it roast Porg. geez good thing I looked lol. thanks for the heads up, purchased!! happy camper! 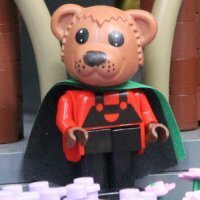 Is there going to be a seasonal minifig in this years calender? Like a santa minifig? Cough cough geonosis arena... I think that's probably one of the most wanted prequel sets now, and an updated gunship to go with it. I don't think there were any naboo sets made except for the Obi wan vs Maul, and a Theed palace seems highly unlikely. And I'm not interested in gungans either. Honestly I don't know much about Rebel friend, only just learnt of it recently and that its an old internet meme. I honestly don't think TLG will make one and I'm not really interested in one either. For minifigs in general I just don't collect sequel characters, and would hope the see more legends minifigs, most notably captain fordo. I just hope we get a couple of polybags, books and maybe a surprise wave, or at least some rumours for next year lol, whens thats supposed to happen? you never know! Some figures I would like: Yavin IV Ceremony Luke (with removable medal) RotJ Jedi Knight Luke (Jabba’s Palace/sail barge attire) I can’t think of any more at the moment. I guess I really just want more Luke Skywalker minifigures. Oh, I almost forgot: Rebel Friend (I would legitimately like this figure). I know, thats what I thought since March when I first wrote about the possibility of this set... LEGO Ideas really screws people over sometimes I think.